Meretz party appeals to Supreme Court, calling for attorney Yoram Sheftel's show to be taken off the air, claiming he promotes incitement. The far-left Meretz party filed an appeal with the Supreme Court, as well as the 103FM radio station, demanding that they yank Elor Azariya defense attorney Yoram Sheftel's popular radio show from the air, in light of recent disparaging comments he made about IDF Chief Gadi Eizenkot. The appeal contends that Sheftel, one of Israel’s most prominent defense attorney’s, has a long history of making ugly statements directed towards media figures and left-wing politicians. "He has a record of crossing the lines, making disgusting claims, and lies" read the appeal, going on to list a number of controversial remarks Sheftel issued, such as claiming that "Meretz leader MK Zehava Gal-On is the spokesperson for Hamas." "These remarks alone are grounds for the immediate halt to the ‘Angry Sheftel' radio show," continued the appeal. "103FM has an obligation to pull Sheftel off the air." The appeal comes in the wake of controversial remarks Sheftel recently made against IDF Chief of Staff Gafi Eizenkot, attacking the army’s handling of the Elor Azariya case. Sheftel was forced to apologize for his remarks belittling Eizenkot, saying Monday in a statement that "I take back what I said about the Chief of Staff. I meant to criticize him for the recent events on the Temple Mount. I do not find it acceptable to criticize his weight, and I apologize." 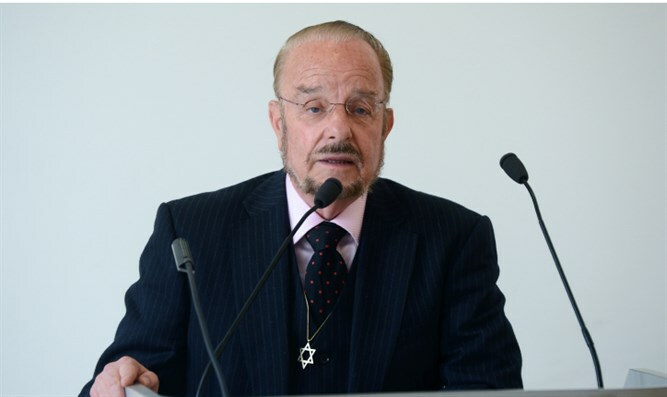 The firebrand attorney has long been known for his colorful style, lambasting left-wing figures on his show in high level Hebrew and calling his opponents "Islami-fascists" and "traitors." This is not the first time Meretz has tried to put an end to his show. The Supreme Court rejected a similar appeal in 2016, saying that the Broadcast Authority did not have the authorization to remove his show from the air.